A study by the CMIE shows that not only has the unemployment rate reached 6.9%, the labour participation rate has gone down to 42.4%. 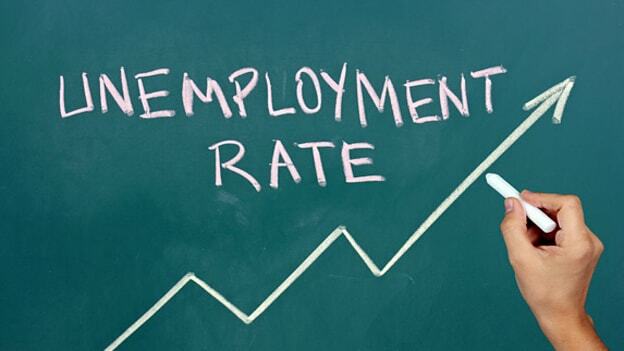 The Center for Monitoring Indian Economy (CMIE) released data based in a recent study stating that October, 2018 saw the unemployment rate reach 6.9 per cent, the highest in 2 years while the labour participation rate has gone down to 42.4 per cent. The reason behind this labour crunch could be manifold but here what the CMIE had to say: “Labour participation rate fell sharply after demonetization and it has still not recovered”. Pre-demonitization, the labour participation was at 47-48% and has gone through a steep fall since. “The small improvement in labour statistics seen in September turned out to be shortlived. October statistics point to a continuation of the deterioration in labour markets seen earlier”, the CMIE added. Aditya Narayan Mishra, CEO, CIEL HR Services, was quoted stating, “October-to-December is traditionally the job creation period across sectors in the Indian economy, and the mismatch between demand and supply of labour is hence worrying.” According to him, the job creation and the labour markets have not been conducive enough to support the average of 12Mn individuals who enter the Indian labour market every year. Moreover, the core sectors in the country that usually uphold the pillars of the labour market such as power and infrastructure have undergone a period of subdued performance. That along with the dearth of loans from NBFCs could have been part of the series of events that lead to these worrisome figures. The CMIE bulletin stated, “This sharp fall in the employment rate in October is perhaps the most worrisome measure of the labour market,” pointing to the 2.4% fall in the number of individuals employed from October, 2017 (407 Mn) to October, 2018 (397 Mn). The number of unemployed people desperately seeking jobs doubled to 29.5 Mn in October, 2018 from a far more reasonable 14 million in July, 2017 (and 21.6 Mn in October, 2017). While it would be hopeful to think these numbers could be part of a cyclical phenomenon in the labour market that would correct itself after this phase of dismal labour statistics, it would be wiser to try an understand the causal effects behind this phase to seek to rectify it. Being an emerging, aspiring nation, it is a stiff blow to the gut to not have a labour market that is supportive enough of growth.